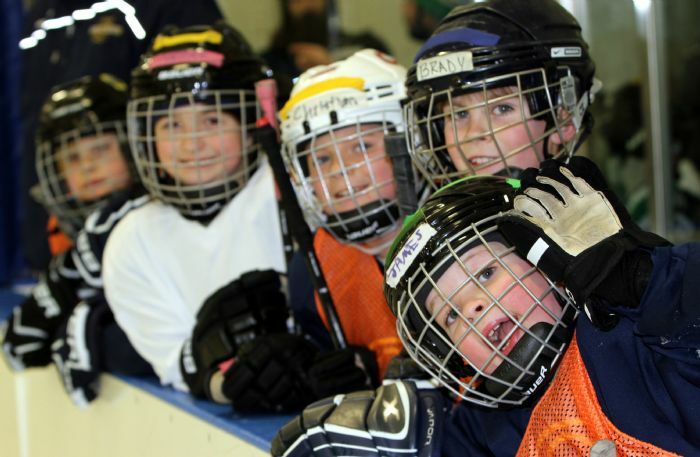 Mite House is a developmental program for players ages 5 through 8 that emphasizes continued skill development through the use of teaching stations and cross-ice games. USA Hockey provides resources for coaches and parents to learn about implementation of cross-ice hockey. To learn more, please click HERE. The Annual James Cup is held in February each year. Mite House players from Simsbury Youth Hockey and the Avon-Canton-Farmington program are invited to participate. The James Cup honors the memory of James Stover, who was a SYHA Mite House player in 2003 when he passed away in a tragic accident. James's zest for life and happy attitude are celebrated in this "just for fun" tournament, where no scores are kept and everybody gets in on the action on the ice. Each year at the tournament, a Simsbury Mite House player will be awarded the Gary Loftus Award, given in memory of a hockey parent extraordinare, recognizing a player's willingness to work hard while maintaining a positive attitude and exemplary sportsmanship. All fees to participate in this rewarding annual event are included in player registration fees.